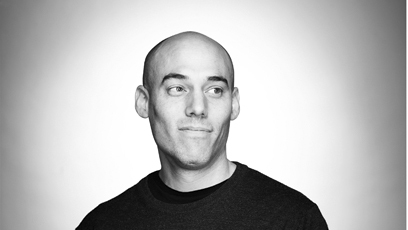 Joshua Oppenheimer reflects on what the process of making The Act of Killing and The Look of Silence has taught him, and how he sees his role as documentary filmmaker today. The fly on the wall is premised on a lie. Whenever you point a camera at anybody, they start staging themselves, consciously or unconsciously. They act out the fantasies they wished they lived up to and dramatise idealised images of themselves that they wished they could fulfil. In that sense, the non-fiction film camera is, in its most natural state, a prism with the power to reveal the fictions that constitute ourselves and our perception of reality. And from this self-staging, we can infer how people really see themselves. Anwar in The Act of Killing isn’t re-enacting what he did in 1965. He’s dramatising, for my camera, his present-day fantasies and emotional states. For example, the gangster scenes are not re-enactments, but an acting out of a despairing identity borrowed from Hollywood’s film noir that glamorises evil and allows him to live with himself. The audience doesn’t see it as glamorous, but as an enactment of how a man copes with guilt. What matters is what questions the film is answering. I think our responsibility as filmmakers is to answer the most urgent question inherent in whatever situation we’re filming. Insofar that as we’re creating reality with anybody we film, it is our responsibility to create whatever reality will be most insightful to these questions. In The Act of Killing, I was trying to understand not only how human beings commit evil, but what lies we tell ourselves to justify our actions – and the effects of those lies. The Look of Silence is a poem about what 50 years of fear and silence does to a human being, to a mother, to the flesh of an old man, to a family and a community. I’m always searching for poetic forms that allow me to express the most important thing – which is always something not immediately visible. I don’t see my two films as uncovering a hidden and forgotten genocide, nor am I certain that would be of value in and of itself. The purpose of both films is to expose the present-day legacy of genocide – the thuggery and corruption and fear that results from decades of impunity – and to immerse viewers in a poetic, almost physical experience of what it is like to live in such a world. Both films are about what it means to be human. They are not historical or journalistic films about Indonesia. They depict the effects of evil on our humanity, and how unacknowledged evilaffects the way we live together as human beings. To achieve this, both films only provide as much contextualising historical and political information the audience needs in order to feel the emotional, moral, and political significance of the journey. The experience of making both films, and hopefully viewing them, is like being engulfed by a tsunami. The essence of my filmmaking is to allow myself to be sucked in by the undertow of a stormy sea. I feel that both films reach a place where nobody is in control, where nothing is safe, where you’re somewhere very unfamiliar, strange, beautiful and terrifying. And yet you recognise it instantly as authentic, unprecedented, and essential. I think all art should serve as a mirror, where we have an insightful and emotionally profound encounter with something in ourselves that we instantly recognise as real – something we’ve been afraid to speak about before, or perhaps something simply too mysterious for words. In all filmmaking, you’re intervening. I take responsibility for my intervention, and I always try to know why I’m intervening. I made both films in collaboration with a community of survivors of the genocide and the Indonesian human rights community, specifically as an intervention against the power of the perpetrators, the thugs and the military, against impunity and against fear. My Indonesian collaborators saw me as their agent, not a foreign filmmaker coming to expose the terrible situation to foreign audiences. And I saw myself as holding up a mirror to Indonesian society, and to all of us. Both films’ central dramas emerge as a direct consequence of the filmmaking process. If I were a fly on the wall, Adi would not be meeting the perpetrators that I filmed in the years leading up to the production of . It is inevitable that I am in both films (albeit as a voice behind the camera, a presence, a moral point of view), because I am the catalyst for the process that generates the central dramas. But the film’s narrative is not the story of how I made the film, for example how I met Adi, and how we worked together, because in that case I would be the protagonist. I take a journey with the characters, but I’m not the main character on that journey. The process has changed me in every way. It has taught me that when we confront the most painful and frightening aspects of our reality, the world becomes less frightening – because at least you stop running away. A calmness sets in. A resolve. It has also taught me to forgive any human being who can truly acknowledge their mistakes, and thereby separate their humanity from their crimes. None of the perpetrators in my films are able to do this, but our humanity depends on always being willing to forgive. I have learned, therefore, that it is never the task of the artist to condemn other human beings. It is, on the contrary, always our duty to try to understand people. Of course I condemn what Anwar and the other perpetrators did, but I refuse myself the arrogance of condemning them as monsters because they’ve done something monstrous. I’ve learned that filmmaking for me is a life journey. Having the commitment to take a journey with people whose dilemmas profoundly interest me and go to places that seem utterly frightening and magical is the core of what I do. The Look of Silence, screening in Berlinale Special, is produced by Signe Byrge Sørensen for Final Cut for Real. Born in 1974, USA. Based in Copenhagen. Artistic director of the International Centre for Documentary and Experimental Film, University of Westminster. Has worked for over a decade with militias, death squads and their victims to explore the relationship between political violence and the public imagination. 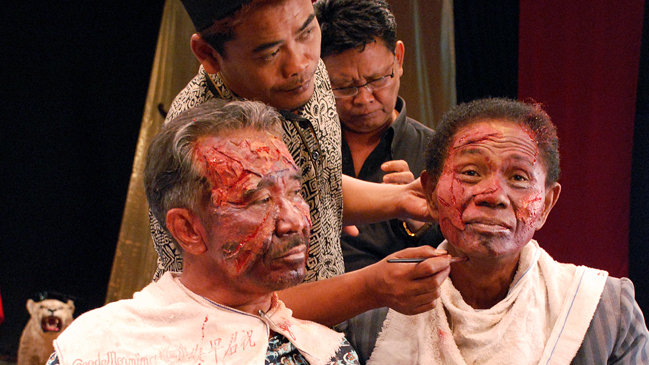 The Act of Killing (2012) was Oscar-nominated for Best Documentary. The Look of Silence (2014) won the Grand Jury Prize at Venice Film Festival. Producer at Final Cut for Real. Films include Joshua Oppenheimer’s diptych The Look of Silence (2014) and The Act of Killing (2012), The Human Scale (Andreas Møl Dalsgaard, 2012), Cathedrals of Culture: Halden Prison (Michael Madsen, 2014).